"A nice, touchscreen-optimized DJ application for your Windows PC." 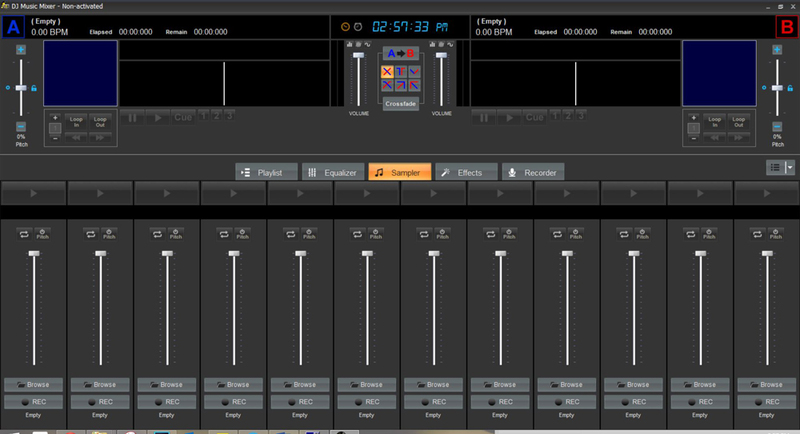 DJ Music Mixer is a great application for all you aspiring DJ's out there. 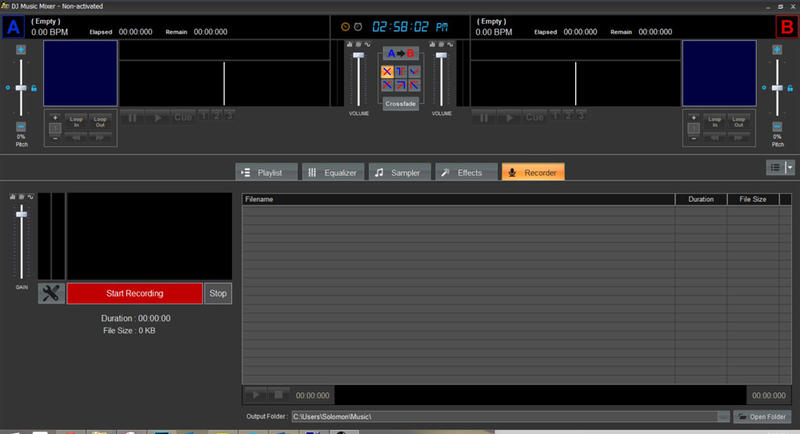 It is not as polished as some of the more popular DJ software, however it does have what many others do not, large, touchscreen-optimized buttons to press. That is not to say that this application won't get the job done. As I said, it is a great application and I'll explain why. In short, it provides a DJ with just enough to be good. 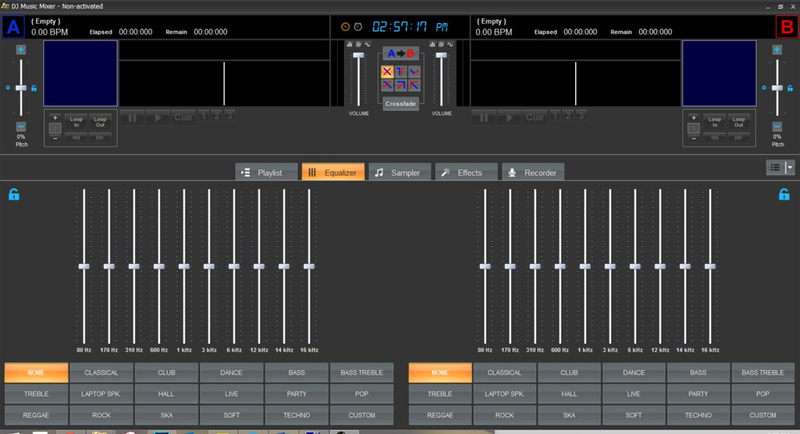 DJ Music Mixer comes stock with the ordinary controls and features that you would find in any other respected DJ software: playlist, equalizer, sampler, effects, and session recording. While it may only be a left out feature of the free version of this application, one of the missing features that I found quite disturbing was the ability to save a playlist for later playback. 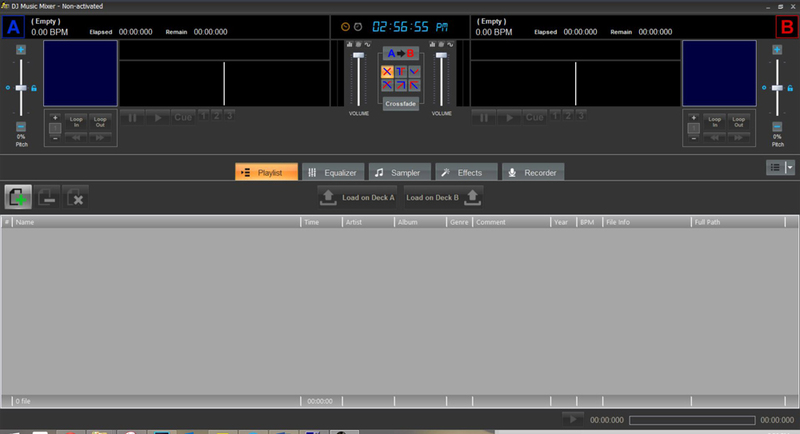 This is a feature that is included in many other free DJ software including Virtual DJ. Without this feature included the application is essentially forcing its users to have to create folders outside of the application. While some may not mind, I, for one, do not want to waste finite hard drive space by copying files into different folders to create playlists. The application's equalizer it great. 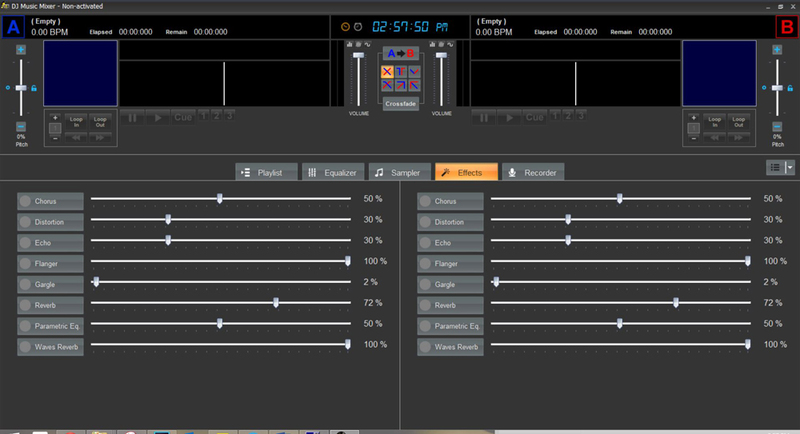 It's fully functional and also includes many different presets for both sides of the equalizer. Having these presets help a lot, especially when the equalizer does not save new presets. Again, this may be a feature of the paid version of the application, but it's still a feature that you can find in many other free DJ software.